A WordPress multisite can be the answer to managing multiple WordPress websites easily. 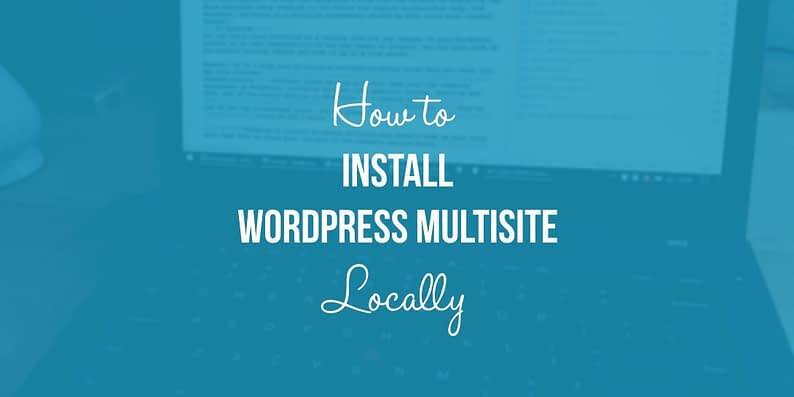 Once you install WordPress multisite on your server, there’ll be no need to replicate administrative tasks on the backend of a number of individual sites. The sites can all be managed from a single dashboard. What is WordPress multisite exactly? A multisite is a network of two or more sites that operate off a single WordPress install. All the sites on a multisite setup will use the same WP database, WP directory and WP configuration file. 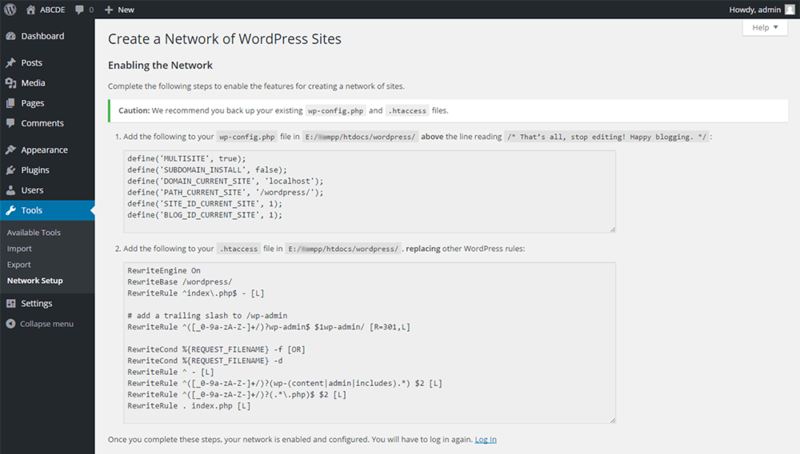 In such a setup, the management of the WordPress install is in the hands of a “Network Administrator”. And the administration of the individual sites on the network is left to the care of the respective Site Admins. To begin with, make certain that you have administrator rights to access your computer’s file system. This is because you’ll need privileges to create directories and edit files. We’ll presume that you’ve installed WordPress on your computer already. But just in case you need help with this, you can always look into our earlier guide. Note. This is a required step. 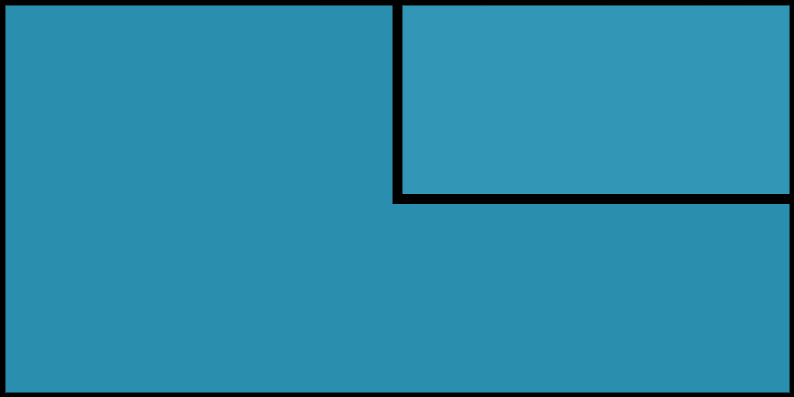 In order to follow through and install WordPress multisite on your local computer, you first need to have a standard WordPress installation running. 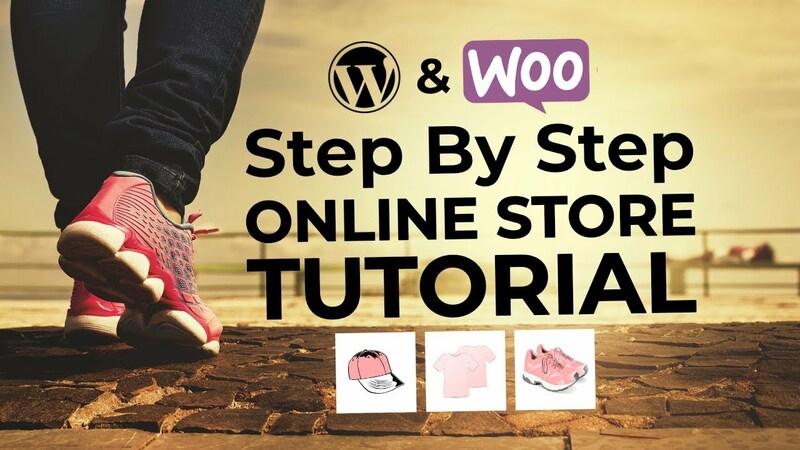 Again, please check out our other guide – it’s a step-by-step tutorial, quite easy to follow. Choice of URL: Now’s the time to decide whether to install additional sites in a sub-directory or under a sub-domain. It’s important to realize that you cannot change this later. On a live server, you can install both under a sub-domain or a sub-directory. Installing a sub-domain on a local host is a little more technical. It involves configuring the XAMPP application to create a sub-domain and then registering it in the operating system software files. In this post, we’ll deal with only a sub-directory installation on the local server. At this point, you should see a new item in your WordPress dashboard. Specifically, go to Tools > Network Setup. Once there, choose either sub-domains or sub directories. If you’re going with a sub-domain network on a live server, you’ll need to obtain something called a wild card DNS from your hosting service provider. Since, we’re only doing a sub-directory install on a local server, you do not need any permissions. Fill in the details and then click on install. A few lines of code will be generated, and you need to add them in your wp-config.php file and in your .htaccess file. After inserting the code, save the files. With this, WordPress Multisite is now successfully installed. To access your Network Admin Dashboard, you’ll have to login afresh. Fill in the details for the individual sites, such as Address, Title and email. Then Click Add Site. In the same manner, you can add as many sites as you want. You’ll see all the sites in your Network under All Sites. With multisite in place, a Network Admin can install themes and plugins on multisite. These themes and plugins can be activated across the entire network, or selectively on a per-site basis. When To Use / Install WordPress Multisite? In general, multisite works well for a group of sites that fall into a hierarchical framework. Think government and its various departments, a university and its different schools, any national / world organization and its numerous chapters. It’s also a good fit for a group of related sites that share common resources. For instance, a network of parallel or allied blogs. To understand this better, check out Harvard Blogs, a free service for the benefit of the Harvard community. Anyone with an email at harvard.edu can create a blog on this WordPress install. Bloggers can simply concentrate on creating and managing content for their blogs, while enjoying the common resources offered by multisite – themes, widgets, multimedia material, spam protection and more. In short, WordPress multisite helps you manage all your blogs from a single dashboard. You’ll need to install themes, plugins and updates just once and then activate them as required. Not only that, you’ll also save on time and server space. And, if you’re up to handling the technicalities, you can even monetize the network by offering to host other sites on your network. When WordPress Multisite is Not The Solution? Does all this mean that WordPress multisite is the best solution for anyone who runs multiple blogs? Of course not. While multisite offers great convenience, it does have some downside to it as well. Individual sites are restricted in their choice of themes, plugins and hosting service. Moreover, not all plugins are multisite compatible, and this can somewhat limit your choice of plugins. Again, any downtime at the server end will cause the entire network to go down. And, if it happens that any one site on the network experiences a spurt in traffic, it may affect the speed of the other sites in the network. It’s also important to note that detaching a site from the network or migrating the whole multisite setup sometime in the future may require professional help. And therefore, switching to a multisite arrangement should be done after much careful thought. You can use a local multisite as a testing site for any changes to your WordPress install or to test compatibility of any new themes or plugins. You can also work on any project locally, before you push it up to a live server. However, if it’s only ease of managing multiple WordPress sites that you need, you may also consider managed hosting services. These service providers take over the complete management of WordPress, including services like updating, backup, security and more. One of the better options in this realm is a company called Flywheel. They’re one of the top recommended hosts, and the plans start at $15 / month. Thinking to install WordPress multisite but haven’t made up your mind yet? Feel free to share your thoughts in the comments section below.